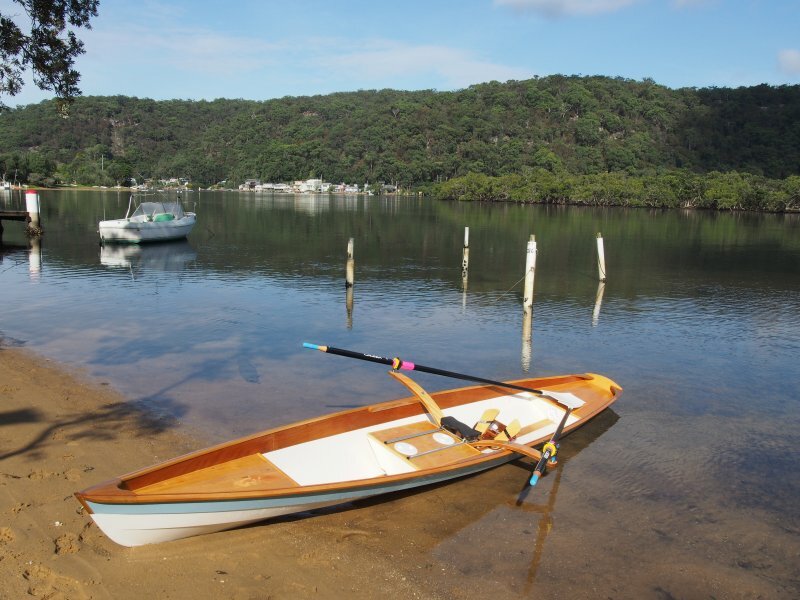 SHEILA is a Derwent Skiff designed by Allan Witt of Hobart; she is named after my late mother. The design won a design competition at the Australian Wooden Boat Festival in 2007. The boat took just over a year to build and uses marine ply, Kauri Pine, Spotted Gum and the fabled Huon pine for details such as transom and buoyancy tank decks. 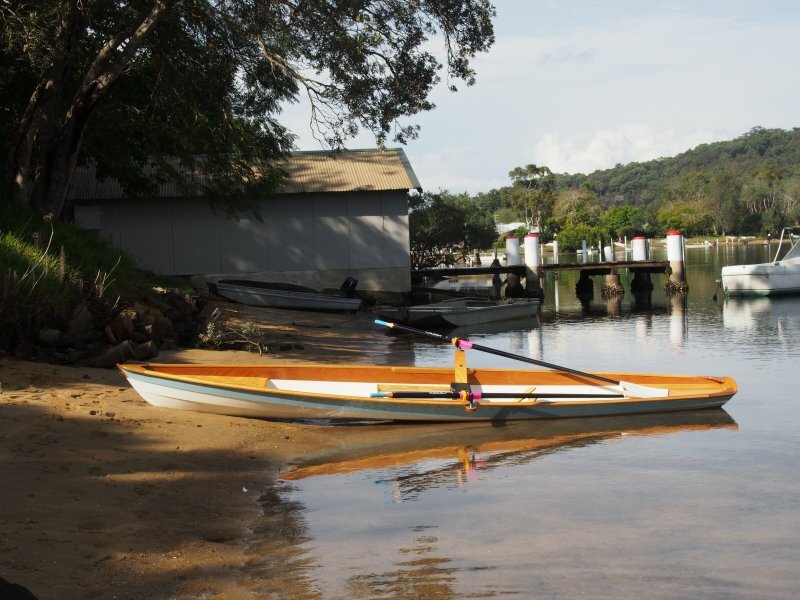 She moves along and tracks well providing a good compromise between stability and speed, allowing all standards of rower to get enjoyable results from a spell in the boat. She is the fourth boat I have built with others being a Welsford Navigator, an Oughtred Guillemot and a Joel White Nutshell.